Join us for our 13th Annual Banquet! We have a new (much larger) venue this year and plan to blow the roof off! More guns, gear, and FUN than years past! All for the benefit of Montana's wildlife. Doors open at 5pm for Happy Hour and dinner starts at 7. 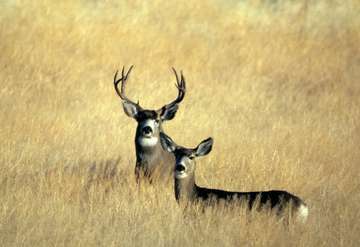 The Mission of the Mule Deer Foundation is to ensure the conservation of mule deer, black-tailed deer, and their habitat.